As we had earlier reported that Naivstar sold its MNAL (Mahindra Navistar Automotive Ltd.) stake to Mahindra thanks to the dwindling sales figures and lack of market share in HCV segment, now the leader of HCV i.e. Tata Motors, is providing heavy discounts on its product range to increase its sales for sustainability. Discount is being offered to clean up the stock piles in warehouses. Piles of stock is heaped so much that Tata has to provide a hefty discount of Rs. 5 lakh on some of the vehicles. It is being said that nobody had expected Tata to be in such situations. Some also state that Tata Motors hasn’t seen such conditions in the past and is struggling very hard to keep themselves on a floating board. In spite of heavy discounts, Tata is also going slow on its production line as well. Sources further mention that the Indian manufacturer has closed its Pune plant for 3 days to cope-up with the ongoing slow demand. This is not the only plant that has suffered apparently the Jamshedpur facility is working at 35%-40% of the total production capacity. During last November too the company had stopped its Jamshedpur production line for more than six days. 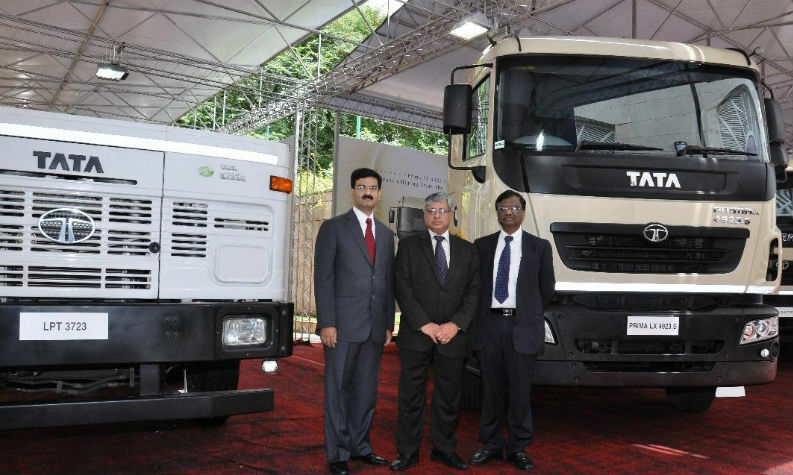 Tata is providing discounts on 12-25 tonnes truck variants. It is not only Tata Motors who is wading through deep waters but its competitors Ashok Leyland and Eicher Motors are also in the same scenario. They are providing maximum discount of Rs. 2 lakh. Truck sales were remarkably low in the past year, especially between April and November. In December 2012, Tata managed to sell only 9,866 units as compared to 18,247 units which were sold in December 2011. Ashok Leyland too witnessed a fall of 19% in its sales figure.